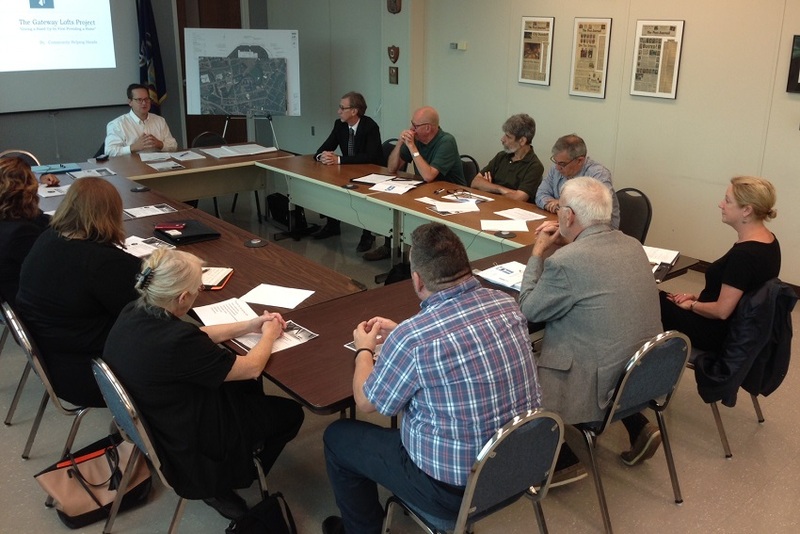 JAMESTOWN – The proposed Gateway Lofts project at the Gateway Center building on Water Street was the focus of discussion during Thursday’s Strategic Planning and Partnership Commission meeting. The Strategic Planning and Partnership Commission during its Aug. 16, 2018 meeting. 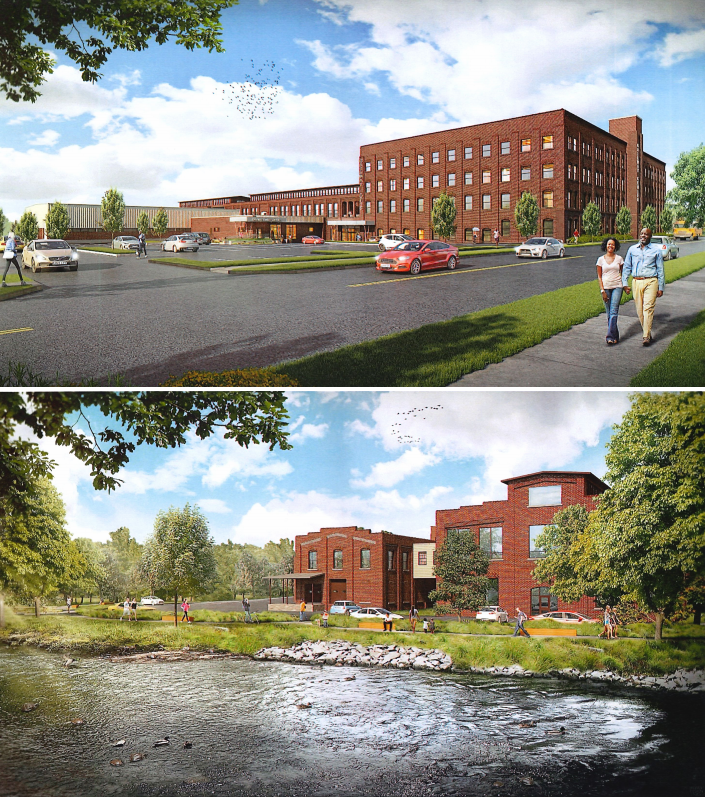 Representatives from the law firms representing the two main developers of the project – Southern Tier Environments for Living (STEL) and Community Helping Hands – went over the specific details of the plan. Representatives of STEL, Community Helping Hands, and the YWCA of Jamestown were also on hand to provide information and answer questions. Those on hand representing the project developers were STEL Development Director Steven Ald, Community Helping Hands Executive Director Tami Berg, YWCA executive director Jacqueline Chiarot Phelps, and attorneys Steven Ricca with Bond, Schoeneck & King and Matt Mazgaj from Phillips Lytle. At the start of the presentation, Ricca explained why the Gateway Center was selected. “This particular site selection was based on a complex algorithm of a number of factors – acreage, zoning, support services, access to transportation, and the like. So we didn’t take site selection here lightly at all,” Ricca said. The development proposal, situated on the 5.8 acre Gateway Center location, is described as a multifamily affordable housing project that would include 70 housing units. Of these units, 39 would offer affordable housing options, 16 would go to single-parent families assisted by the YWCA, and 25 units administered by STEL would be designated for non-violent individuals who are homeless and have a serious mental illness or a substance use disorder with a history of criminal offending or are at risk of offending. 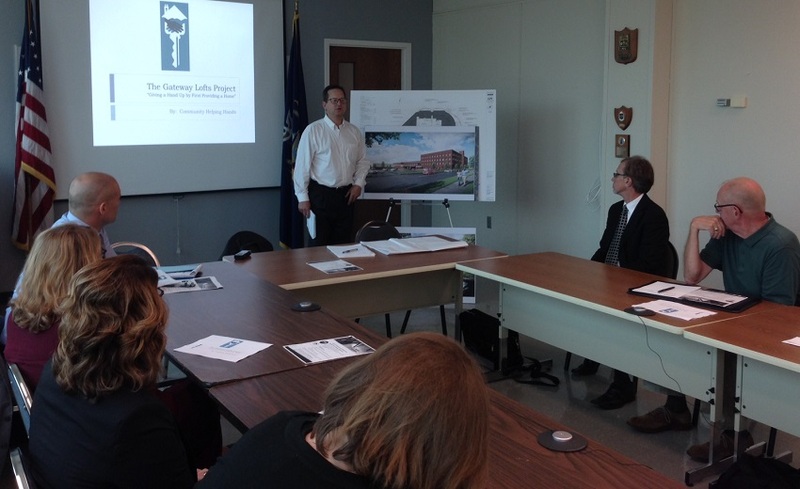 Attorney Steven Ricca with Bond, Schoeneck & King presents to the city Strategic Planning and Partnership Commission. Ricca also said that the project will address a concerned outlined in the city’s recent poverty reduction study released in 2017. The project still needs to undergo several hurdles, including a review by the city Planning Commission in September as well as securing funding for a total project cost of $34 million. The cost would be covered through a combination of state and federal tax credits that can be sold to investors, along with community investment funds and grants. The project partners have already received a $970,000 state grant to develop the design. The $34 million price tag is due to abatement issues that would need to be addressed in the current building, which is the former Chautauqua Hardware building built in the late 19th century and which currently houses several nonprofit service operations including St. Susan Center, Community Helping Hands, a Daycare facility, and the Mental Health Association – among others. Developers say the presence of those agencies on-site is one of the key reasons why the location was selected for the proposed project. No zoning waivers would be needed because the location is already in an area of the city zoned for multi residential use. In all, the commission members spent an hour-and-a-half hearing details about the project and asking questions as well as raising concerns. Commission Co-Chair Greg Rabb – who also chairs the city Planning Commission – explained why it was important for the group to appear before the Strategic Planning and Partnership Commission. “If this project goes forward, it’s a big project, and it has more than just an effect on the immediate area. I think it has an effect on the entire community and that’s one of the reasons why this commission exists. We are part of the city of Jamestown and appointed by the mayor and approved by the council, so our goal here – with representatives from the public sector and the private sector and from inside the city and outside the city – to look at projects from a much bigger perspective than the narrow perspective which we’ll be taking from the planning commission. 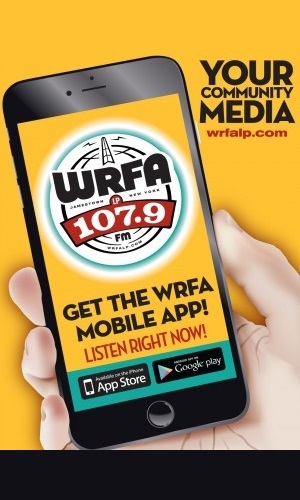 So we want to have this discussion because I knew this process was percolating and had a couple of questions and concerns,” Rabb said. One of Rabb’s questions and concerns focused on the project being located in a food desert area of the city where fresh food wasn’t readily available. Another concern was that the city currently has a significant amount of housing stock that could be used to help provide homes for the individuals this project is aimed at, while also noting that this project would concentrate a large number of people into a single area instead of working to integrate them into the community. Rabb also noted that the developers need to reach out to members of the city council and the Chautauqua County legislator who represents that area so they can be aware of the details of the project and share with constituents who will likely have questions. The officials with the project responded to Rabb’s concerns about access to healthy food by explaining transportation would be made available through CARTS to help residents get back and forth to nearby supermarkets and the Jamestown Public Market’s mobile food market program could also help with providing healthier food options on site. They also noted that the concentration vs. integration issue was open to debate, considering there currently isn’t a lot of options for affordable and quality apartment housing in the city. According to the developers, support for the project has been given by several local officials, including: Gov. Andrew Cuomo, Sen. Catherine Young, Assemblyman Andrew Goodell, County Executive George Borrello, Deputy County Executive for Economic Development and IDA director Mark Geise, Sheriff Joseph Gerace, county Health and Human Services Director Christine Schuyler, and the Homeless Coalition. The project will likely be looked at further during the Sept. 18 meeting of the city planning commission.